GLASS TEA KETTLE SUITABLE FOR ALL TYPES OF TEAS, TEA BEVERAGES AND COLD DRINKS. 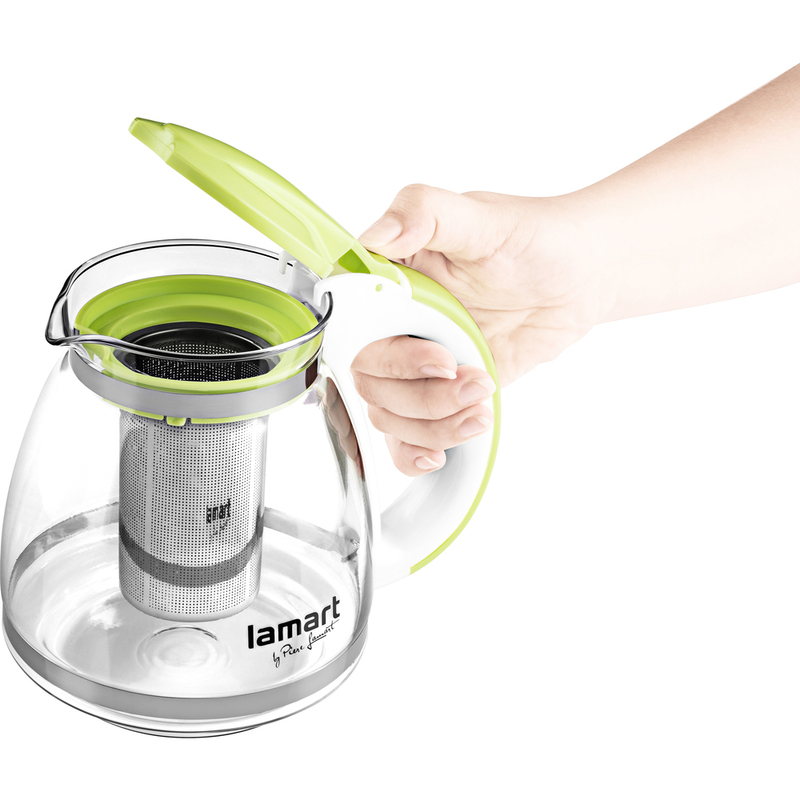 THE KETTLE'S HANDLE IS MADE FROM DURABLE PLASTIC. 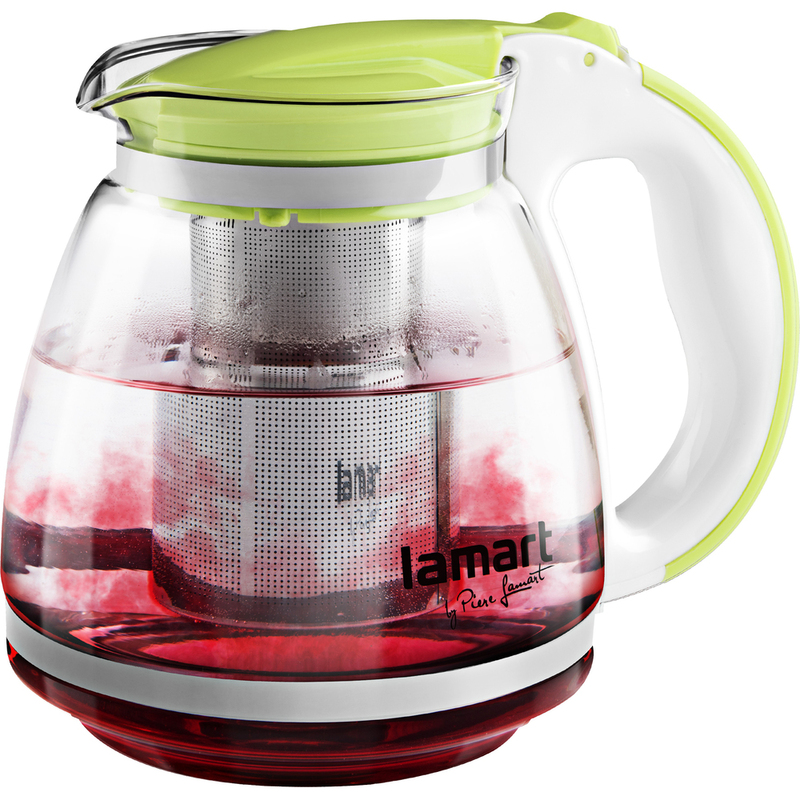 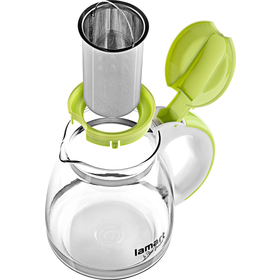 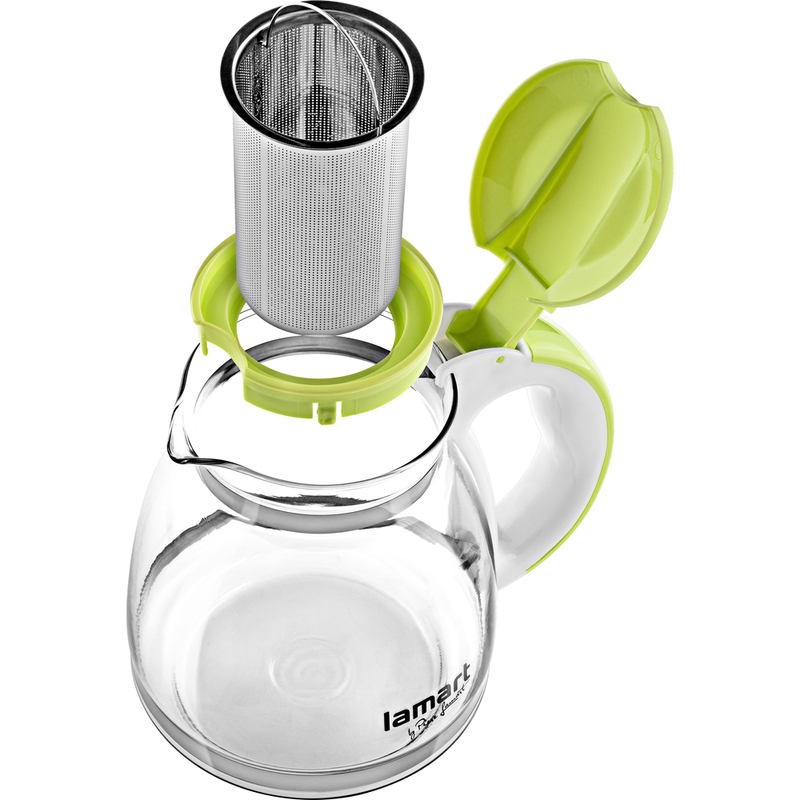 THE KETTLE CONTAINS A STAINLESS STEEL STRAINER FOR LOOSE TEA, FRUIT PIECES OR TEA HERBS. THE KETTLE IS EQUIPPED WITH A PLASTIC LID FOR EASY ACCESS FOR CLEANING AND FILLING UP.